Molokai has changed very little over the past several hundred years. Snorkeling, surfing, hiking, kayaking, biking, plus historical & eco tours lure visitors into the way Hawaii used to be and still is here on Molokai. Driving through the Island takes appr. 2 hours. Scenery is dry on the west side and fertile on the east side where most of the rainfall falls down. 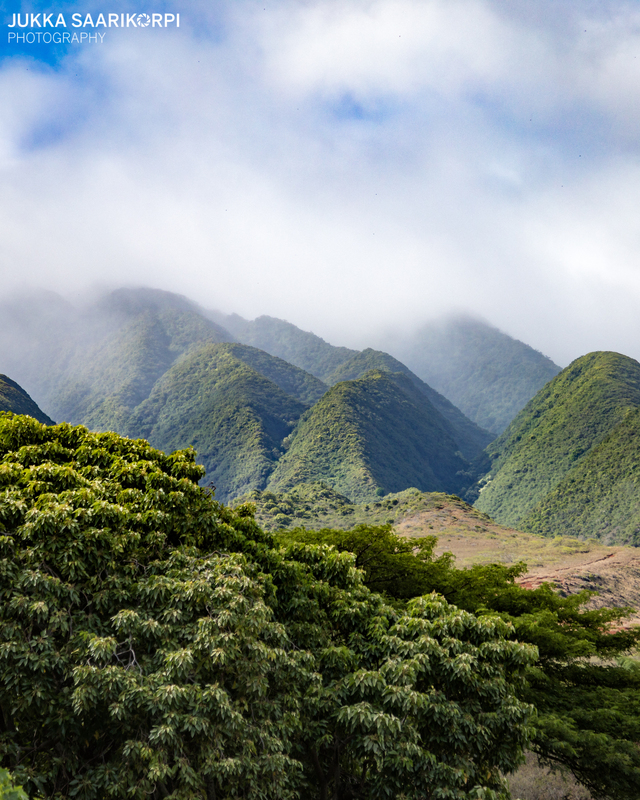 I spent quite a while shooting the Kalaupapa Peninsula. Kalaupapa is a very interesting place – and also a very sacred place. This place was chosen to isolate people with, what was at that time, an incurable illness, Leprosy. The peninsula is still today remote and fairly inaccessible. 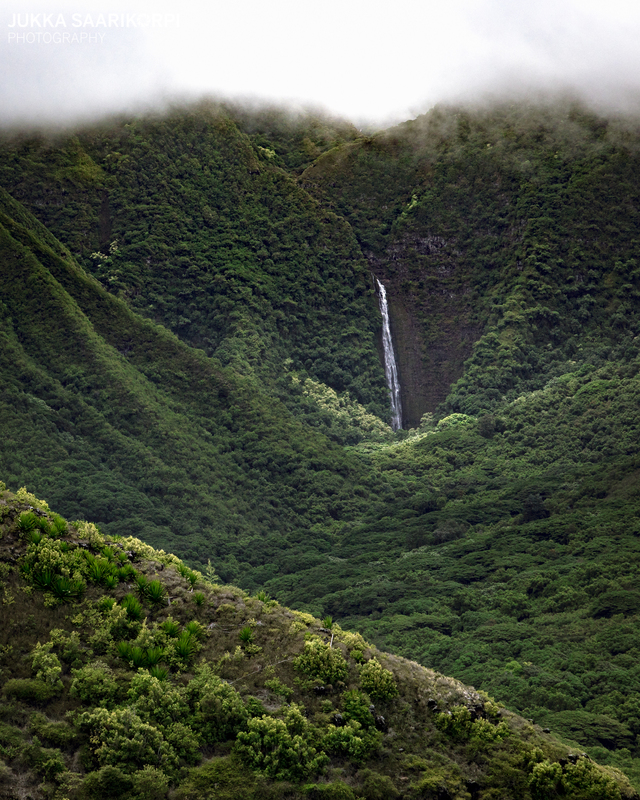 To the right, the area is cut off from the rest of Molokai by a sheer pali, or cliff, reaching nearly 2000 feet. The ocean surrounds the rest of the area to the east, north and west. Boat landings were only practical in good weather only. Nowadays there is a air strip on the peninsula. Hawaiians have inhabited this peninsula for over 900 years, so the land can support people. Vegetables such as sweet potatoes, taro, and fruits can be grown in the valleys and on the flatlands. The ocean and tidal pools provide seafood. Fresh water has been available from Waikolu and Waihanau valleys. 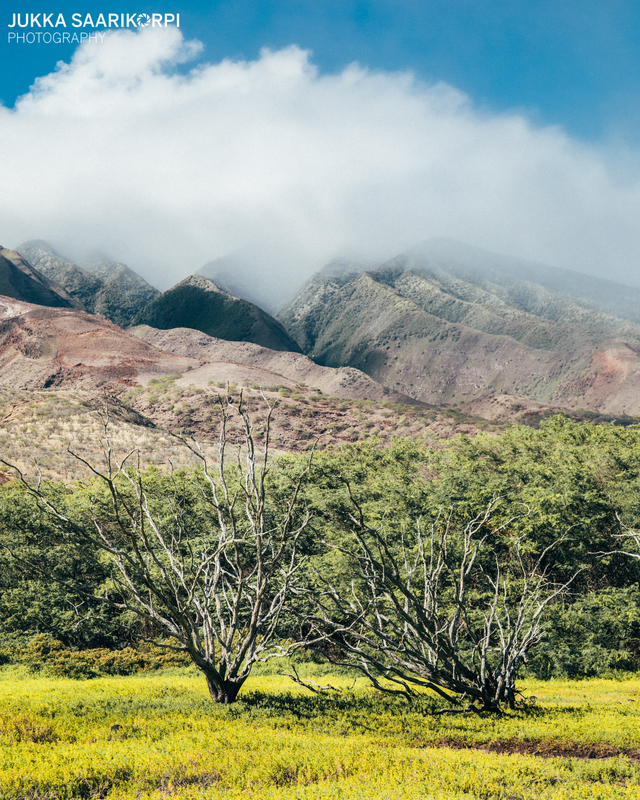 Molokai is a very unknown island to most of tourists. 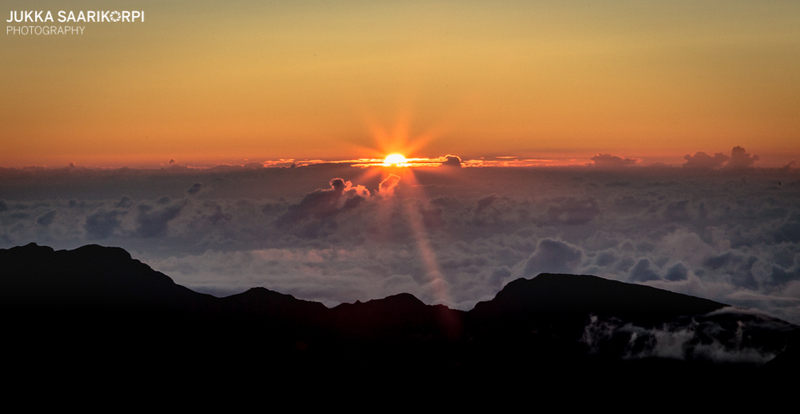 The Molokai touristboard states as follows: – If you’re looking for the real Hawai’i, this is it. If you’re looking for old Hawai’i, this is it. If you’re looking for breathtaking natural beauty, rain forests or deserted beaches, this is it. – I can pretty much agree with these statements.The tourism industry on Molokai is relatively small, compared to the other islands in Hawaii. 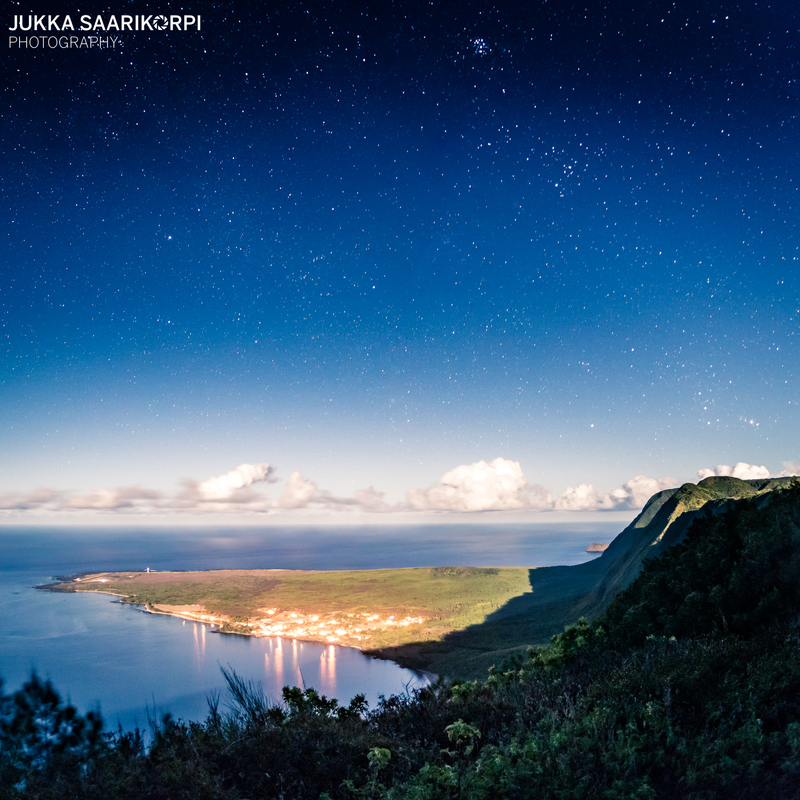 Merely 64,767 tourists visited Molokai in 2015. For years, residents of Molokai have resisted private developers’ attempts to dramatically increase tourism. Accommodations are limited there still is only one hotel was open on the island. 3 weeks here has really been a “slow down experience” from all the travelling we’ve done lately. We managed to spot a couple of Hawaiian monk seals the other day. These Hawaiian Monk Seals are Hawaiian natives and are found only in Hawaii and on Johnston Atoll. 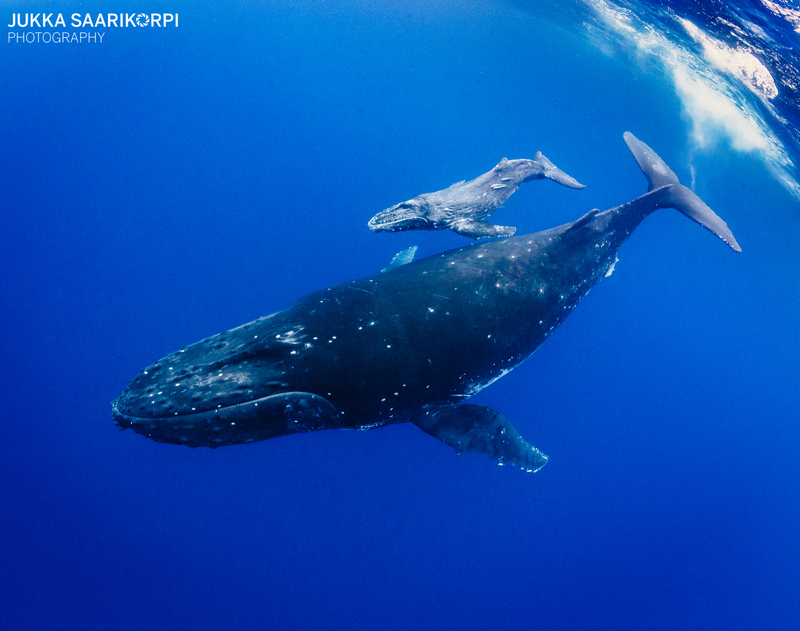 The biggest threats to these marine mammals are entanglement, food limitation, disease, shark bites, and climate change. 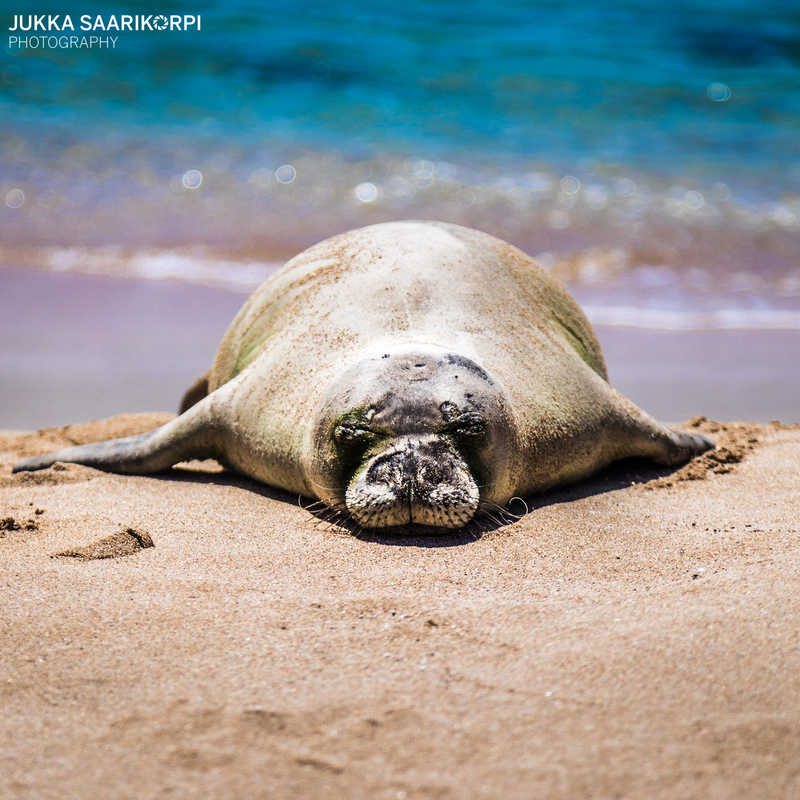 The current population of Monk Seals is only about 1100 animals! 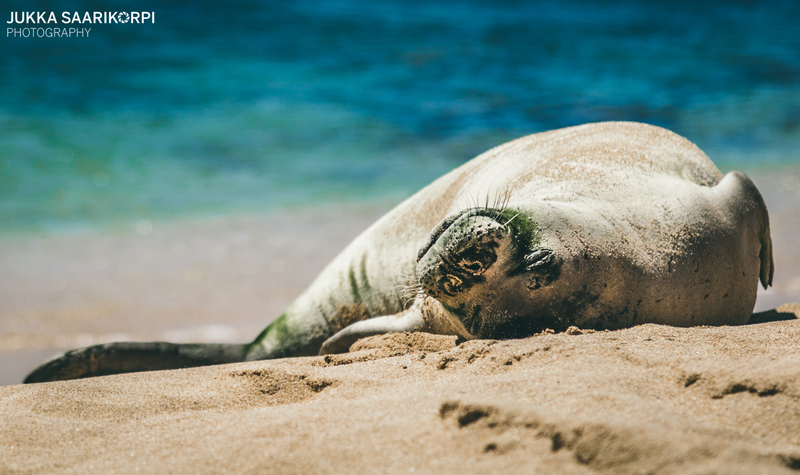 In comparison to other marine mammals, the Hawaiian monk seal has a lower metabolic rate, meaning that it will eat less fish over the course of its lifetime. They can dive as deep as 1500ft but generally average about 200 feet. They are predicted to consume between 5.8 and 12.9% of their body mass in food each day. Monk seals live between 25 and 30 years.